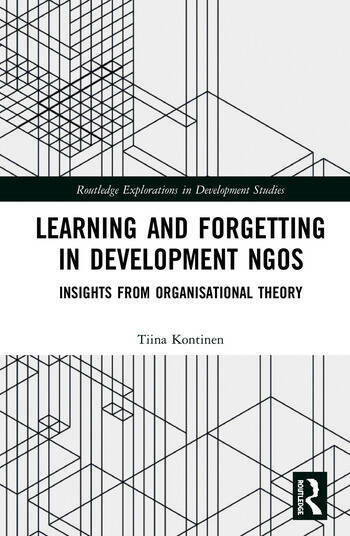 Learning and Forgetting in Development NGOs draws on a range of theoretical approaches and empirical evidence to explore how development organisations learn or fail to learn from experience. Despite the overwhelming discourses of NGOs as learning organisations, little is known about the phenomenon of learning within NGOs. As constantly changing buzzwords and institutional approaches abound and old ideas and concepts are "re-discovered", development NGOs are often accused of trying to reinvent the wheel as they struggle to escape from the challenges of development amnesia. Based on detailed empirical data on the everyday practices and accounts of development practitioners, this book moves between the boundaries of organisational institutionalism, learning theories, management and ethnographies of NGOs practices to investigate the many faces of organisational learning in an attempt to counteract development amnesia. Learning and Forgetting in Development NGOs will be an essential guide for students, scholars and development practitioners with an interest in development management and organisational theory. Tiina Kontinen is an Academy of Finland Research Fellow at the Department of Social Sciences and Philosophy, University of Jyväskylä, Finland.